Graduation is a huge milestone in everyone’s life. One of the best ways to congratulate your friend or family member on their accomplishment is to give them a thoughtful, handcrafted present. It can be difficult to come up with original present ideas—you don’t want to just hand the graduate a check or a copy of “Oh, the Places You’ll Go.” If you’re stumped on what to give the young adult who has everything, we’ve picked our favorite unique graduation gift ideas just for you. We’ve gathered a unique list of over 30 of the best graduation gifts for both high school and college graduates. We found high school graduation gifts that help students with the stresses of study groups and finals. We’ve also included DIY gifts for college graduation, that will be useful to graduates who are about to enter the “real world.” Your graduating friend or family member will love all of these unique presents. We also have an array of personalized gift options, from beginner to expert craft levels. The following unique graduation gift ideas are sure to let the graduate know just how much you care. If you want to give a new graduate cash, but don’t want to just hand them a check, this money-filled wreath is perfect for you. You can use any dollar amount that you want, and you can customize the decorations on the wreath too. Explore this fun DIY tutorial, so you can make your very own wreath for loved ones. Jewelry is a sweet choice as a graduation gift for girls. Instead of buying something mass produced, opt for a personalized charm to add to a necklace, bracelet or keychain. Every time your new grad is feeling homesick, they’ll have your gift to remind them that they’re cherished. 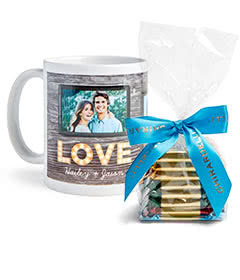 If you aren’t crafty, but still want a gift that is completely custom, this is perfect gift idea that you can create on Shutterfly. This cool DIY canvas bag will bring you back to the ’70s with its tie dye design. Before you begin tie dyeing, use vinyl lettering to write a phrase that fits your graduate’s personality, and then tie dye around the letters. From books to groceries, your graduate will love toting their things around in this cute bag. This is an easy project, that even a novice DIYer will love creating. No matter if you are creating this for a high school or college graduate, your elated senior will love that you took the time to make a personalized graduation photo centerpiece of some of their best memories. Glue photos onto papier-mache letters that spell out ‘GRAD’. Then, decorate the outsides of the letters with sparkly sequins. 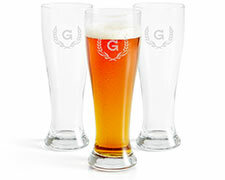 Or, decorate using the graduate’s initials, making it a perfect display that doubles as dorm room decor. These are one of our favorite affordable DIY graduation gifts. This lovely motivational poster can be downloaded for free straight from The Crafted Life’s website. Print the poster out on a nice sheet of white paper, and then place the printable in a simple frame. Just like that, your graduate will have the perfect wall decoration for their new apartment or dorm. Is your graduate a real foodie? Cookie dough is tasty, but it can be dangerous to eat if there are raw eggs and raw flour in the dough. Sprinkle Bakes’ recipe is completely eggless, and it uses flour that’s toasted in either the oven or microwave. This results in a safe and delicious batch of chocolate chip cookie dough when your graduate needs a pick me up. Starting in a new school, or living on your own for the first time, can be a stressful time for many young adults. To help your friend or family member relax, give them this mini zen garden. Start by filling a small dish with sand. On top of the sand, place a miniature rake, rocks, crystals, small plant cuttings. The small wood rake is great for creating soothing patterns in the sand. It instantly destresses the mind. This homemade rainbow friendship bracelet is both fashionable and meaningful. To make the bracelet, use a leather cord, a few different colored paints, and a bead to hold the bracelet together. Explore the fun DIY jewelry project for more detailed instructions. Use different colors to match various wardrobe options. There’s nothing tastier than an aromatic, spice-filled cup of Chai. Five Heart at Home shows you how to create a jar of Chai mix that every tea lover will cherish. You can also attach different Chai recipes to your jar—your graduate will love getting to try new versions of their favorite drink. A warm beverage that helps them wake up faster is always a win in a young adult’s world. No one goes without their smartphone nowadays. Instead of buying the same ol’ case everyone else has, gift your grad a customized iPhone or Android case. Not only will it keep their phone protected from clumsy moments, their phone case will be as unique as their style. Use pictures or favorite quotes to help their personality shine through. These adorable little faux cactuses are simple to create and make a sweet desk companion. All you’ll need are some round river rocks, a few mini pots and green and white paint. Unlike real plants, you won’t have to worry about watering these—they’ll stay green forever! If your graduate is about to live in their own space, it’s a smart idea to get them some versatile kitchenware. Instead of just gifting it to them in the box, fill these pretty glass jars with their favorite snacks. Cooking Classy’s peanut butter granola is healthy, and it tastes great too. It can be mixed with some yogurt, fruit, or ice cream. It’s a sweet treat that your graduate will love having available for breakfast or a late-night snack. Is your graduate studying abroad for a few months? Crafty storage is a must have! You’ll feel like MacGyver as you create this travel kit out of nothing but a washcloth and some ribbon. You can sew the ribbon on, or you can make a no-sew version by using either iron-on hem tape or fabric glue. This cute gift is simple to make and very useful for a student getting ready for college dorm bathrooms. These vibrantly painted pencils will inspire your graduate as they enter the next phase of their life. Paint a number of pencils with bright colors, and use Sharpie to write motivational messages on the end of each pencil. Every time your graduate goes to write, they’ll see your messages and feel encouraged. If you’re handy with power tools, try making this DIY wooden phone dock for your graduating friend or family member. This phone dock was created by Scarlet Words, and it will allow your graduate to easily charge and display their phone. You can also add a few decorations to the dock to give it a personal touch. Gift cards don’t have to be impersonal. Make it extra special with a creative card to go along with it. They’ll be thrilled to get new music, comfortable clothes or some grub that will keep them energized as they take their next big step in life. Your graduating friend or family member will probably have to start carrying a key for their new dorm or apartment. With this DIY leather loop keychain, they’ll always know where their key is. The design for this leather keychain is super cute, and it’s also simple to make. Pick fun colors or designs that will impress your graduate. Make It & Love It shows you three different ways to create three homemade pillow cases. There’s the “basic” pillowcase that’s made out of one piece of fabric. Then there’s the “tri-colored cuff”, which features three pieces of fabric: a main fabric, a cuff fabric and a trim fabric. There’s also the “same-color cuff”, which is made the same way as the tri-color cuff pillowcase, but uses just one piece of fabric. You can get fabric based around your grad’s favorite movies, entertainers, colors, etc. This is an essential, yet incredibly comfy DIY graduation gift. Remember, the more the merrier! Love the idea of getting your grad something for their bed but DIYs seem a bit too challenging? Make them personalized pillow with a picture, their name or a great graduation quote. Find custom pillows at Shutterfly. To make this tasty chocolate mug cake, all your graduate needs is a microwave—something that can be found in the even the sparsest of college dorms. Place a mixture of powdered chocolate cake and powdered angel food cake in a pretty jar, and then write the recipe for the microwave cake on the jar. If you need high school graduation gifts, try taking plain brown journals and creating intricate designs on their covers. Once they start college, there will be plenty of note taking. A DIY journal with a handmade cover will make lectures more fun. Does your graduating friend or family member always complain about their earbuds tangling up in their pocket? If so, this DIY leather triangle earbud holder is the perfect gift for them. The simple holder will take you less than five minutes to make, and your graduate will be grateful for the useful gift. Choose a few pieces of fabric in your graduate’s favorite colors, and create a simple triangle quilt. This gift is perfect for both a high school and college graduates. A high school graduate will love having the homey item in their dorm, and a college graduate will be able to proudly display the quilt in their apartment. This is especially great for those who will be traveling somewhere with a cooler climate. Every graduate needs some first aid essentials for their new living space. Mom Advice has a checklist of all of the items that should be in this kit. Follow the checklist, and place all of the items in a pretty basket. From band aids to peroxide, this DIY graduation gift is sure to come in handy. Both high school and college graduates need a good planner to keep track of classes, work commitments, and plans with friends. This adorable, customized planner will help even the busiest of graduates keep track of their schedule. There are also empty pages in the planner where the graduate can jot down thoughts or ideas. Explore the tutorial for step by step instructions. Laundry is a real drag, especially when the washer and dryer are located outside of your house. Make it easier with this fun DIY Mason jar piggy bank. They won’t even have to smash open the piggy bank to get to the coins inside—simply unscrew the top and dig in. Bonus points if you pre-fill the gift with quarters for your graduate. Looking for high school graduation gifts? Try this college survival kit that’s jam-packed with everything a new freshman needs. Take a paint can and customize the outside with patterned cardstock that fits your graduate’s new alma mater. Then, fill the paint can with gift cards, candy, laundry detergent, shampoo, toothpaste and anything else you can think of that will make the transition to college easier. If your graduate needs a bit of everything, this is one of our very favorite DIY graduation gifts. You don’t need to be too crafty, for this to still look creative. This homemade fleece and felt laptop sleeve will keep your friend or family member’s computer safe and snug all day long. She’s Got the Notion has the tutorial for this simple sleeve. Just get the measurements for the graduate’s computer, and then you’ll be all ready to create your very own. If your graduate has a great sense of humor, this gift is for them. This DIY tumbler is portable, and perfect for class or the office. Young adults don’t often have too much money lying around, which is why this refillable cup is great for iced coffees and teas from the house. To make this, all you need is a mason jar tumbler, some spray paint, vinyl lettering, and glitter to give your tumbler a sparkly shine. A car is often overlooked, but it’s a great idea to stock some essentials in there in case of emergencies. Chances are your new grad is about to become much more independent, and won’t have the same luxuries they’re used to. Try to include unique items like Kitty Litter to give tires better traction on ice, booster cables for a stalled car, hand warmers, an emergency blanket, a first aid kit, Fix-a-Flat tire sealer, an LED flashlight, bottled waters, and nut bars. A mesh bag can be used for a wide variety of purposes, from carrying laundry to toting toiletries to the dorm bathroom. You can download the tutorial on The Inspired Wren’s blog, and figure out which size you want to make for your grad. These are incredibly handy for holding hair brushes, bathing suits, makeup, and small electronics. Pick a fabric/pattern that your graduate will love. These airy tote bags are especially great for summer months. Does your graduate have a sweet tooth? Forget purchasing a new shirt or book for them, and give them what they really want! Homemade Nutella is one of the best DIY graduation gifts for anyone that loves desserts. Recipe Girl’s Nutella can be made with either Marcona almonds or hazelnuts, and it tastes even better than the real thing. Your graduate will be in heaven when they dip a spoon into this sweet jar of Nutella. These are great for a late night treat. This framed magnetic board makes a great organizational tools as well as unique graduation present. Simply add your graduate’s favorite photos to the design and pick out some fun magnets. The board then can be used for everything from scheduling, to memorabilia, to decoration. Once upon a time school supplies used to be textbooks, binders, and pencils. Now, most students can get away with using their laptops for most classes. Give your grad something special to carry from class to class or even just for the everyday. These personalized laptop cases are the perfect mix of useful and unique. Still looking for some other options for great DIY graduation gifts? Browse our personalized graduation gifts such as mugs, blankets, pillows, stationery, canvas prints, and more. You can also visit our list of graduation quotes and messages to complete your graduation card.